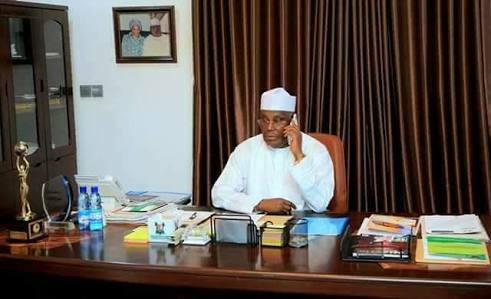 Atiku Replies Buhari's Camp: "You People Are Now Confused"
PDP presidential candidate, Atiku Abubakar, has fired back at the Buhari Campaign Organization which had suggested that his emergence as the main opposition flag bearer in next year’s election was the result of money politics. A statement issued on Monday by his campaign organization in Abuja, said Atiku was not surprised that his emergence has caused confusion in the camp of President Muhammadu Buhari. Atiku noted that various acts of corruption were being committed under the present administration, which he said caused Transparency International to classify Nigeria as a more corrupt country now than it was three years ago. Atiku stressed that the choice before Nigerians was between a candidate who has provided over 50,000 jobs to people in his personal capacity and the other under whom 11 million Nigerians have lost their jobs. “No wonder Transparency International rated Nigeria as more corrupt today under Buhari than just three years ago when the PDP was in power. The scandals are too numerous, including the $25 billion NNPC contracts awarded without due process, the several padded budgets, the $41 million Ikoyi Apartment scandal, the recall, reinstatement and double promotion of pension thief and Buhari financier, Abdulrasheed Maina, the N200 million grass cutter scandal, and many others too numerous to mention. “Nigerians have a choice of a man who will provide an efficient and business-friendly solution to the herdsmen crisis and a man whose government said ‘giving land for cattle ranching is better than death.